Are the Reality Stars Taking Over the Charts? X-factor star Olly Murs and Pop Idol’s Will Young, are out to control the charts this weekend with them both on course to have number ones. 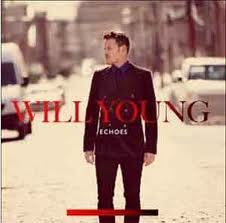 Pop Idol Winner of 2001, Young, is set to dominate the number one album spot with his dance release Echoes. Murs, X Factor 2009 finalist and runner-up to Joe McElderry, is going for his second number one single “Heart Skips A Beat”. The Essex singer, originally from Maldon, is now a presenter on the “Xtra Factor”, an ITV2 spin-off accompanying the popular reality TV shows “The X Factor”. Whilst Olly Murs and Will Young are competing for the top spot, X Factor 2009 winner, Joe McElderry, is proposed to enter the album chart at number two this weekend. After recently winning ITV1 show “Popstar to Operastar”, McElderry has felt a revitalised sense of achievement, which has obviously contributed to his confidence and overall success, at which people are sure to notice in his new album “Classic”. This entry was posted on Friday, August 26th, 2011 at 10:05 am	and is filed under Music News. You can follow any responses to this entry through the RSS 2.0 feed. Both comments and pings are currently closed.